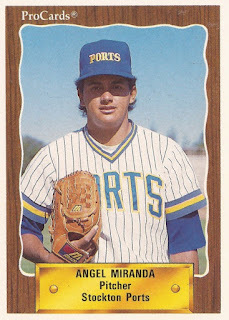 Angel Miranda debuted for the Brewers in 1993 as a reliever. He later joined the rotation, throwing back-to-back complete games in August. To The Milwaukee Sentinel at the end of that month, Miranda said he was fine with wherever the Brewers wanted to put him. "Starter, reliever, I don't care," Miranda told The Sentinel that August. "I just want to contribute to this club, because I want to be here a long time." Miranda ended up sticking with the Brewers for parts of five seasons, including 1996 where he saw a career-high 46 appearances. He then went on to extend his career another decade in the minors and in independent ball. 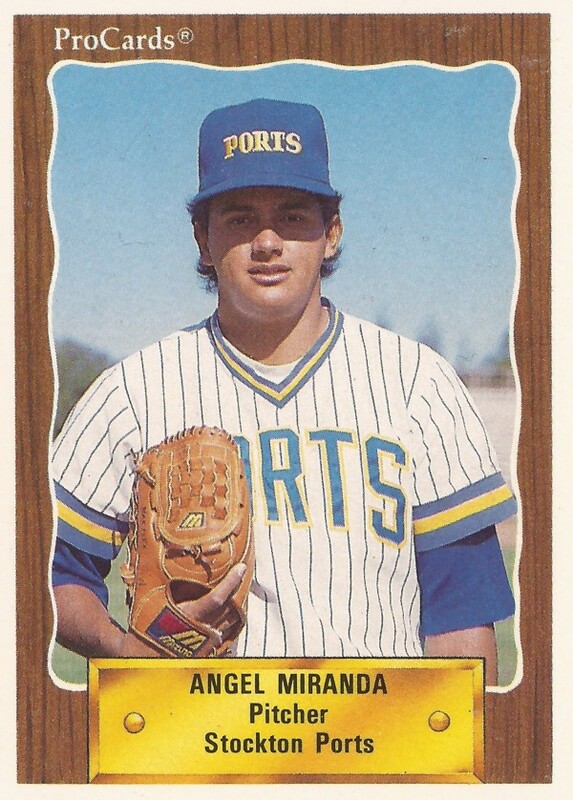 Miranda's career began in 1987, signed by the Brewers as a 17-year-old free agent out of his native Puerto Rico. Miranda started with the Brewers in the rookie Pioneer League. He made single-A Stockton in 1988, then AA El Paso in 1991. He debuted in Milwaukee in 1993. With the Brewers, he got into 22 games that first year, starting 17. He went 4-5 overall, with a 3.30 ERA. His first major league win came against the Blue Jays on the first of his two August compete games. "That was a hell of a job, his first win in the big leagues against the best hitting team in the big leagues," Milwaukee manager Phil Garner told The Associated Press afterward. The Brewers pegged Miranda to return to the rotation for 1994, but an injury suffered playing winter ball led to knee surgery. That limited his 1994 season to eight starts. Miranda pitched for the Brewers in each of the next three seasons. He got into 30 games in 1995 and 46 in 1996. His final major league time came in 1997 with 10 relief appearances. Miranda then turned to independent ball. He played much of 1998 with independent Atlantic City, hoping scouts would see him and find out he could still pitch, according to The Philadelphia Daily News. He then continued in independent ball through 2005. He then returned home to Puerto Rico, playing and coaching there. In 2004, seven years removed from his last major league outing, Miranda returned to play and coach for the Northeast League's road-only Aces team. He explained to The New York Times how he got there. "My wife just had to understand," Miranda told The Times. "I told her I'm not giving it up."